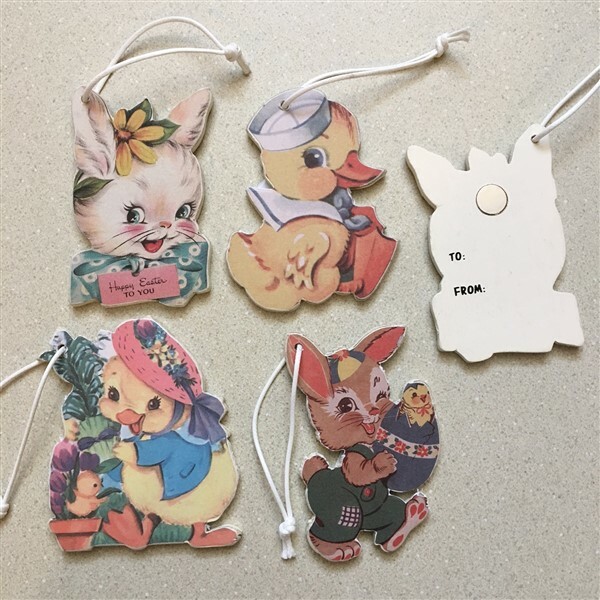 Easter memories from your past will come to mind with these darling retro ornaments that also have a magnet on the back.They are made of wood and paper with a vintage image, a cord for hanging and are approx 2.25" x 3.50", 2.75" x 3.50", 3.13" x 3.50. You can hang them around for an Easter party, use in baskets or on an Easter tree. They even have to and from on the back to use as basket or gift tags. Choose your favorites.